You’ve been paying into the system all these years. Will you lose it all if you leave? This is Week Four of the 26 week series #MyEconomicCitizenship. Each week I give you a glimpse into my life as I share the ups and downs experienced in pursuit of a second passport through economic citizenship. Each feature includes my weekly journal walking you through the process of obtaining economic citizenship, followed by an in-depth look at some of the most important topics people considering economic citizenship should understand. The series is presented by Nomad Capitalist in partnership with Peter Macfarlane & Associates, whom I worked with to obtain my passport. To read the entire series, just click here. 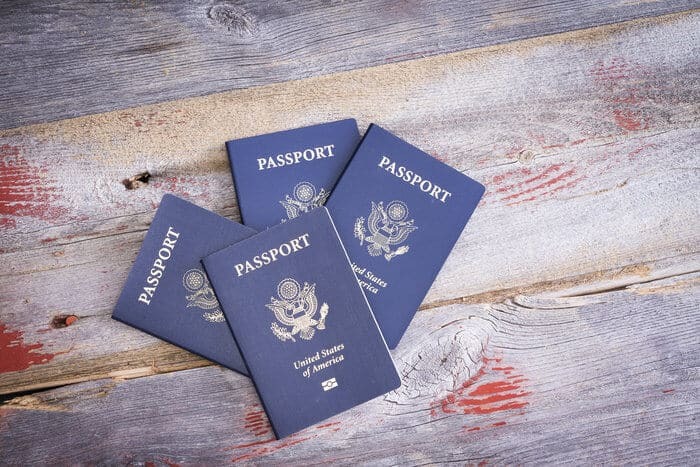 One of the reasons that many US citizens consider getting a second passport — whether it’s economic, ancestral, through naturalization or otherwise — is because they want to renounce their citizenship. US citizens are just about the only people on earth required to pay taxes on both active and passive income, no matter where they live. 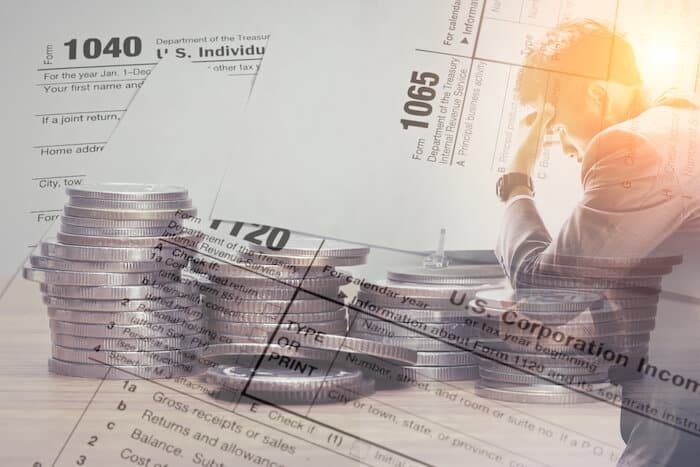 While some entrepreneurs are able to minimize or even eliminate US taxation through the Foreign Earned Income Exclusion, not all business owners and self-employed individuals can shield all their income from US tax. In some cases, the only way to successfully eliminate US taxes and the onerous reporting requirements that come with US citizenship is to renounce that citizenship. Whether you’re an employee earning a salary that goes above and beyond the FEIE limit, a business owner with a company “too big” to justify an exemptible salary of $101,300, a successful consultant working in your own name or a real estate investor who cannot exempt your passive income earnings, there are many logical financial reasons to renounce your US citizenship. BUT, there is one issue. When I talk to people about renouncing US citizenship, I come across two different sentiments: excitement and worry. On the one hand, there are people who are excited about the idea and don’t care about losing their citizenship. For them, they know that at some point they will renounce. It’s going to happen. In fact, I’ve found that people in both camps (especially if they’re older and have been paying into the system for a long time) deal with these types of questions. So today I want to address these concerns and let you know exactly what will happen to your Social Security, Medicare and other government pensions if you were to renounce your US citizenship. 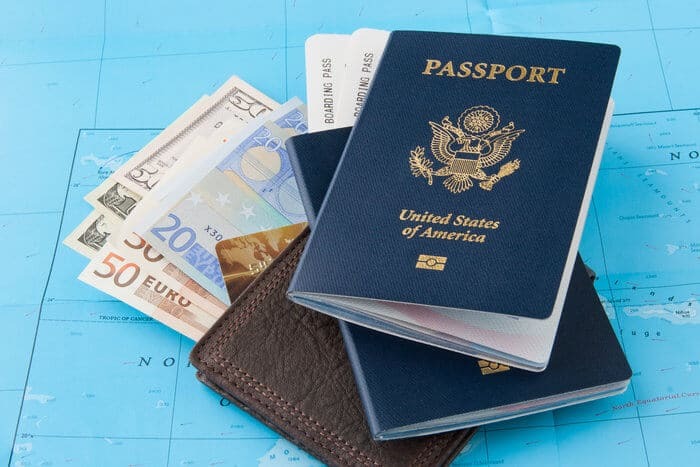 We’ve already discussed how you can receive your Social Security benefits while living overseas, but it turns out that you can also maintain those benefits even if you renounce your US citizenship. In order to qualify for all Social Security benefits you are required to have worked at least forty calendar quarters in the US. Essentially, that works out to be about ten years of work. Fortunately, those ten years do not have to be consecutive. They can be any time you paid into Social Security, whether it was a childhood job or a corporate job on Wall Street. Another important point to take into account, since 1978, quarters have been calculated annually. As ElderLaw explains it, if you earned $5,040 in January and February of this year and didn’t work for the rest of the year, you will still receive credit for four quarters of work ($5,040/$1,260 = 4). If you meet the minimum requirement of 40 quarters, your earnings in those 40 quarters will be averaged out to determine how much you will receive in Social Security payments. Obviously, if you work more than the ten years, you will build up more. 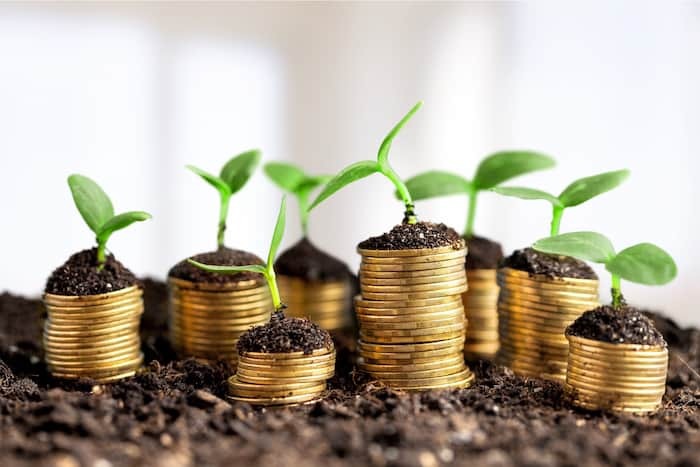 The issue with Social Security for most of us who are a little bit younger, however, isn’t whether or not we’ll be able to receive payments if we renounce citizenship, but whether or not the money will even be around when we retire. Currently Social Security is not based on need, but on income earned throughout your working life. It may not always be like that. There is a chance that Social Security will eventually be means tested. In other words, people who have any kind of net worth (maybe even foreign bank accounts tracked by FBAR) may not qualify for Social Security. If you have money overseas, a certain net worth, income from other pensions or annuities, or passive income from rental properties, etc. there’s a chance they could just say “You don’t get Social Security.” Or maybe you’ll just get half. Certainly I think benefits are going to go down. But that’s a separate discussion. The point is that, whatever is left of the Social Security when it’s your turn to cash in, you will get whether or not you renounce your US citizenship. It’s your money. And, though I hate to say it, the US is actually a bit more fair than some other countries in this regard. Now, of course, we’ve talked about Social Security in our previous article. They won’t pay you in a small number of countries, including Georgia for some reason going back 30 years. However, if you’re living in certain places you can get your Social Security benefits wherever you want. So it’s not a big deal. Again, Social Security may not be around in that distant future in which your retire, but there may be some benefit to it. The most important thing to take away from all of this is that renouncing your citizenship will not have an impact. It will not create any more problems than the ones that already exist within the Social Security program. If you’re rich and you’re a US citizen, you’ll be a rich non US citizen. Just like Social Security, Medicare benefits are still available even after you renounce your US citizenship. However, unlike Social Security, those benefits are not available anywhere in the world. Only in the US. The challenge with this is that most people are not going to get a passport that allows them visa-free access to the United States. At the moment, there are around 40 visa waiver countries that have visa-free access to the US. Chances are you won’t be getting a citizenship in one of them, especially if you’re buying a passport because the only visa waiver country that has an economic citizenship program is Malta. So, unless you marry someone or go and live a high tax country for a while, chances are you will not have a second passport from a visa waiver country. And this is one of the things that a lot of US citizens are afraid of. If you get a passport from anywhere basically outside the European Union and the richest countries in the world (like Singapore), you’re not going to have visa-free access to the US. Well, Medicare does not provide benefits overseas. I do think that there will come a time — perhaps at the expense of higher taxes for the rich — when some politicians in the US will do what some companies have done and will just pay for you to fly to Malaysia to get medical care. I can see Medicare overseas being an option some day. But not today. As of right now, to receive Medicare benefits you have to go to the US… if you can get in. If you can get into the US you can get your care. If you don’t have one of those 40 visa waiver passports, that will mean getting a visa. Now, I don’t think the US government is going to be very sympathetic to a guy who renounced his citizenship saying he needs to get a visa for medical care. If you don’t get the visa on any other grounds, they’re not going to be very sympathetic. That said, they’re not going to be less sympathetic if you renounce as of now. Obviously, Medicare could change, especially if we have Medicare for all. Who knows what it will look like in the future, but as of today you’ll get your Medicare so long as you can get back into the United States. Typically, military benefits, municipal pensions, state government pensions, etc. are gone once you renounce your US citizenship. For instance, no matter how long you served, once you renounce, all military benefits are gone. Believe it or not, I’ve talked to veterans who served ten years in the US and now they’re waking up and don’t agree with any of the stuff going on. If that’s you, if you’re going to get a $50,000 yearly pension from the military any time soon, you might not want to renounce. In fact, I tend to think that the military is one of the safest places from which to get a pension. A few years ago I wrote an article about California pensions. The state is bankrupt and there’s a good chance California’s government pensions won’t be around in the future — even for citizens. The military, on the other hand, is much more reliable. Either way, if you’re older and about to receive a pension, you probably don’t want to renounce. If you’re younger and you can afford to give up whatever benefits you have, that’s great. Just realize that if you work for the city, state, military, etc. and you renounce, you’re not going to get those benefits. (I believe this also applies to veterans’ healthcare, but I’ll let you do your homework on that one). So basically you’re two for three when it comes to what you’ll maintain versus lose if you were to renounce your US citizenship. Not bad. A lot of people feel renouncing is like poking the hornets nest, but it’s your right to do it and there are many things you won’t have to give up if you do. As you can tell, this article is currently only about US citizens who renounce citizenship. We will add insights on other countries in the future, so be sure to come back and check on this article later. However, because US citizenship is the citizenship that people most often want to renounce for logistical purposes, that’s what we’ve covered for now. Plus, if you’re Canadian, Australian or European, your main concern for now should be about becoming tax non resident, rather than renouncing. On the other hand, people in emerging world countries like China where dual citizenship is not really allowed, will often just stay in China and hide their other citizenship. Others go abroad to somewhere like Europe and begin using the other citizenship without China’s knowledge. In reality, China likes people to leave the country, they just don’t want dual citizenship. The same goes for certain other countries. I know people in Malaysia who weren’t renouncing Malaysian citizenship to become British, they just kept it a secret that they had both. In all honesty, very few people are going to renounce a quality western citizenship, and people with the lesser quality ones are not going to feel the need to renounce. Hello! I am a military retiree and have one question for you. Where do you get your information that a prson who gives up his citizenship loses his benefits, such as VA loans, Disability, etc? Not true about California…it is the state with highest GDP! Nice try. GDP means nothing when facing a debt of more than $24 billion dollars. It just means that the ability to repay the debt is greater. By your logic no cities in California would be going bankrupt because the GDP is so high. California is not bankrupt. Their debt is almost $430 billion with a GDP of almost $3 trillion, a ratio of 15.4%. The US has a debt-to-GDP ratio of 105%. As long as they can borrow money they are not bankrupt. What does U.S. citizenship have to do with receiving a local government pension? Why would you lose a local government pension you earned just by giving up your U.S. citizenship. How about a united states goverment federal employee pension? I know social security and medicare are safe. But you mentioned u.s. military, state and local government. Since you included U.S. Military, I would also assume federal government employees would also lose their pension??? some genuinely terrific work on behalf of the owner of this web site, absolutely outstanding written content. I have a green card, but have never lived in US. I usually apply for my travel passport every two years, which are usually granted. I work for international organisation and I work in different countries of the world. Unfortunately never managed to get to USA. My green card is getting near to expiry, would it be possible to get USA citizenship after 10 years of paying Taxes and having green card and having valid reason not to live in USA? the remedy to state citizenship is easy when you apply for a passport and carefully fill out the form checking non us citizen and making sure you dont check the box for nay of your family members also a couple other things on the app will get you converted over to a state citizen and free of taxes making your land and auto ALLODIAL . THE LEGAL FICTION ALL CAPS CORPORATIONYOU VOLUNTEERED INTO IS A a master slave relationship one thats unprotecetd by the constitution which was created for the people not (persons ) defined in the U.CC. a federal employee which gives the U.S.D.C. jurisdiction over all 14th amendment us citizens . 1871 act dissolved the republic and replaced it with a corporation sugjogatting all sovereigns with the 1913 federal reserve act and then the collateralization of the birth certificate after the confiscation of gold in 1933 .Hr192 all products are prepaid for those who understand the monetary system and theres no money in america to pay debts or bills with but there IS ! USING THE FIAT obligation notes is trading with the enemy and unconstitutional but a remedy is available discharging debt without the federal reserve privately owned central bank . I have allways pursued freedom and protection from the police power that steals from the citzens and the extortion levy on all land with forcloser if one doent pay the annual tax which to most clear thinking people is wrong since america is supposable sovereign while the corporation cannot be sovereign it must rest wih the people . Clever language -legales is in place to hide this feaudilim system which predates the roman empire all the way back to kings and queens ! Who are the most powerful in a deck of cards ? the sovereigns which the framers of the constititution meant to be for every commoner however banker wars with debt have made the common people the suretys and subjects while not one of us ever signed any contracts the us citizen status doest this ! 2 reckionized governments in america both with there own classes . Take back your sovereignty and educate your children . god bless you and this site . Thank you Jerry, we appreciate it!